Rather than doing dull activities with homonyms I decided to spice it up with this engaging activities that got my students excited about words! Students are able to be creative with this interactive classroom version of a popular game. There was a popular app that came out called “Four Pictures, One Word” and before school I would have students come up to me asking if I could figure out what the mysterious word that all four pictures had in common. From this app came a fun way to review and play with homonyms. 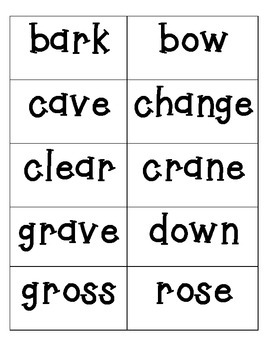 Using my Homophones, Homonyms, and Homographs cards, I sorted out the homonyms and gave each students two cards to choose from (you can do the same or assign students words or have them raffle for them). You can easily come up with a list for your students as well. 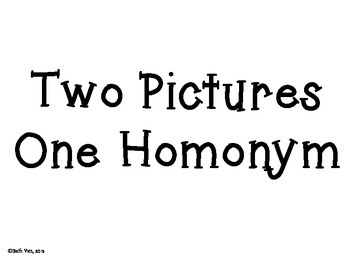 Then, they had to illustrate two meanings of the homonym that they were given. For example, one student had the word “crane” and she drew a crane bird and a mechanical crane. 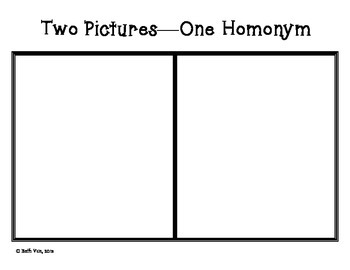 After everyone completed their drawings we solved all of the “Two Pictures, One Homonym” around our classroom. 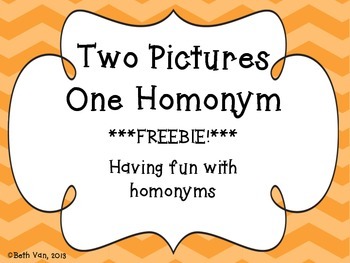 Check out my other Homophone, Homograph, and Homonym products!